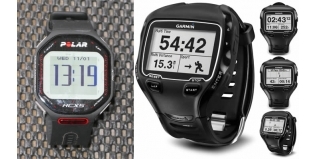 Are you a slave to your stopwatch, GPS, powermeter or other training 'gadget'? Coach Simon Ward (www.thetriathloncoach.com) takes a look at training by feel and stresses the importance of not becoming a slave to your digital feedback. He's no Luddite either, and is open to the idea of adding a GPS to his own training arsenal... but suggests that simply "getting the training done" is more important than measuring every aspect, every session. As with most things, balance is key. Here are his thoughts and approach. I recently read an article by Chris McCormack where he talked about training by feel. I definitely have some affinity with his comments because this is how I do most of my training. I don't have a Garmin and I'm not really that bothered about how far I've cycled, how many metres we climbed or what my average speed was. I tend to measure only the duration of a session and then I try to rank how hard it was by how quickly I recover, compared to other sessions. I have one swim session per week, where we have a coach who times key sets and I do take note of my times and how they compare to previous efforts. I also use my CompuTrainer regularly and pay particular attention to my power output and my heart rate. However this is more about learning how my body responds to certain intensities. Knowing that a 60 minute sustained effort at 220 watts results, currently, in an average heart rate of around 125-130 (approx 75% max cycling heart rate). During this effort I'm also paying attention to how my legs feel and my breathing. As it turns out my breathing is under control and I could easily hold a conversation and breathe in for three pedal strokes and then out for three pedal strokes (whereas at threshold its a very definite 2/2 breathing pattern). Having worked all of this out on the CompuTrainer, I know that when I'm riding outdoors that I'm roughly at threshold when breathing is 2/2 and above threshold when it gets ragged. The same can be said for running. 12km/h is my current 80% effort on the treadmill and on the canal towpath where we have 1/4 mile markers I can pass those every two minutes which is roughly the same effort level. Why am I not that bothered about all the data I could be acquiring? Firstly, I think that there are 2-3 sessions per week where it's important to monitor the quality and to do so you need to be mentally and physically ready. As I mentioned earlier, I do pay attention to the numbers here. Third. Apart from those key sessions, and at this time of year, I think it important just to be getting the training done. I feel that as long as I'm in roughly the right zone (which can be judged by rate of perceived exertion), then I'll be doing OK. When combined with breathing I can pretty much get into the right ball park for intensity. Sometimes when I'm tired that might be slightly slower than the target pace/wattage but thats what happens when you listen to your body. You adjust accordingly. Having said all that... I must confess that I am tempted to acquire one of these gadgets to analyse certain aspects of my training! Firstly, I use Training Peaks to deliver all of the programmes for my athletes and I do the same for my own programme. Recently I have been using the Performance Management Chart to calculate the Training Stress Scores for each workout and then to indicate how much load I can cope with each week. A lot of the GPS and HR devices now calculate this for you and I'm quite interested in how I can use this to assess which recovery methods work best or which combination of hard days, easy days leads to the most improvement. I'd also like to start using something to assess how accurate my own RPE (rate of percieved exertion) method is. To do this I would run or ride as normal but have the monitor in my back pocket so that I could see how accurate my own internal pacing and effort meter is. Ultimately, my result in Lanzarote is measured against other athletes. Sure, I might hit my target time in the race but if I miss out on a spot by a few minutes I'll be gutted. I'll be aiming to go by feel for much of the race and my mantra is this.